New Delhi [India], Apr 28 : According to a report published by the Deutsche Bank, the government has two more years to're-energise' the economy, re-start the investment cycle and accelerate job growth. May 25, 2017 marks the completion of three years of governance under Prime Minister Narendra Modi, but despite several new policies, investment growth in the country continues to be stagnant, leaving a similar impact on economic growth and job creation in the country. "With urban employment growth stalling over the past few quarters due to slowing investments in e-commerce/internet startups and Indian IT services demand, job creation is likely to take on critical status on the government's economic agenda as the government enters the last two years of its term," says the report. German banking and financial services company Deutsche Bank has planned to reduce annual costs by about 3.5 billion euros. In addition, the bank has decided to cut back its ownership in the Postbank consumer unit. In a statement on Monday, the company headquartered in the Deutsche Bank Twin Towers in Frankfurt stated that the bank has targeted to achieve a return on tangible equity of about 10% in the medium term. As per plan, the company will reduce its local presence and number of countries by about 15% by 2020. Mumbai : Improving external balances and government actions may drive a sovereign rating upgrade for the country during the current calendar year, according to a report by Deutsche Bank (DB). It was despite the fact that market was not yet factoring in a rating upgrade, the report said. "We assign a high likelihood of a sovereign ratings upgrade for India as most macro indicators have exhibited improvements in past two years," DB Group managing director, head of research, Abhay Laijawala said while unveiling 'India equity strategy: 2015 outlook' here Thursday. The rating upgrade for the country will happen shortly, however, it will depend on the forthcoming annual Budget, he said. 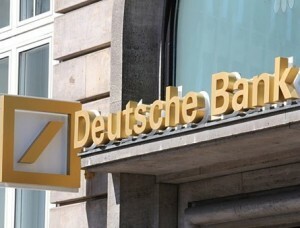 Germany's largest bank, Deutsche Bank has said that it might record lower profit than expected profits as it recorded higher losses from sale of non-core assets. The bank said that it is considering a profit warning as officials said that the coming results are expected to be lower than investor expectations. The bank is expected to release fourth-quarter results on 29 January, 2014. The bank expects higher losses from sale of non-core assets. James McMurdo, is set to become the head of Deutsche Bank's Australian operation from the coming year as the activity is expected revive. McMurdo, who has been working as Senior Goldman Sachs executive will take charge of the Deutsche Bank's Australian operation and head the bank's franchise in the country. The move comes as the Deutsche Bank is looking to move to a conservative global presence as it aims to contain the size of its balance sheet. Financial giant, Deutsche Bank has downgraded the shares of telecommunications network owner Chorus to `sell' as the company faces high regulatory risk and low political backing for the high costs to be incurred for the rolling out of the ultra-fast broadband network. Foreign banks have for sometime lining up to offer cheap loans to Indian Inc firms, which are turning their focus to overseas businesses to reduce their dependency on sluggish Indian market. Some American and European banks last year rolled back from the Indian market due to economic slump, but a few months back financing offers from banks like Citigroup, Deutsche Bank and Standard Chartered started emerging again. Global financial giants, Deutsche Bank and Bank of America Merrill Lynch have both downgraded insurance company, Aviva manly due to valuations. Deutsche Bank downgraded Aviva to "hold" from "buy" due to its full valuation. "Even if management were to successfully deliver on the restructuring plans, Aviva's capital and leverage ratios would still be less good than most peers, with lower than average exposure to growth markets," it said. Software firm TechMahindra (TechM) seems to have made an overpayment of Rs 71.3 crore for the controlling stake in Comviva Technologies, brokerage Deutsche Bank estimated. TechM on Monday confirmed that it had agreed to acquire a 51 per cent stake in Comviva - Bharti Group subsidiary that provides value-added services and mobile payment solutions - for Rs 260 crore. The Indian unit of Deutsche Bank has appointed Mr. Ravneet Gill as the Chief Executive Officer and a member of its Asia-Pacific Executive Committee. Mr. Gill will replace Mr. Gunit Chadha, who has now been promoted to the post of co-CEO, Asia-Pacific and a Member of Global Group Executive Committee for Deutsche Bank. Mr. Chadha has headed the Indian operations at the bank for a period of about nine years. One of the major foreign banks in India, Deutsche Bank has announced that it is finishing off its contract with Infosys BPO. It is also shifting its back-office work from this company and starting its own captive unit to do its work. The new unit will be established in Bangalore. These services include many critical processes that are present in the field of trade and derivatives that deal directly with the clients. Name of the new unit will be Deutsche Network Services in Whitefield. Deutsche Bank, the German banking player said on Tuesday to the media that it was not worried about the possible legal actions that it may face in the US. The legal obstacles have come since the bank was found packaging and selling various products which forced it to be part of the financial crisis. Talking to the media, Stefan Krause, Chief Financial Officer of Deutsche Bank has said that they have received the Wells Notice from the SEC. It talks about the kind of legal charges that have been imposed on it. Rating agency Moody's Investors Service downgraded Germany's biggest bank -Deutsche Bank AG two notches on account of earnings volatility and a delay in acquisition of Deutsche Postbank AG. The Frankfurt-based bank said there will be no "material impact" from the downgrade. Frankfurt - Deutsche Bank performed well in the first nine months of 2009 but faces challenges in the future, management board chairman Josef Ackermann said Thursday. "Looking ahead, we see challenges and opportunities ... We are well-prepared for both," Ackermann said as the bank elaborated on figures disclosed last week. Ackermann said financial markets were showing signs of recovery, but the effects of the global crisis were still showing in some banking segments. Germany's largest lender, Deutsche Bank has kicked out its two senior executives for spying on a group of managers and key shareholders and leaking sensitive information. Company's head of German corporate security, Rafael Schenz has been fired. Bank's head of investor relations, Wolfram Schmitt who was suspended earlier, has also been sacked. The sackings of two executives follows the independent inquiry opened by the bank itself in May, in which Cleary Gottlieb Steen & Hamilton, a law firm was asked to lead the inquiry.